February’s here! And when it’s February, we know what that means… it’s probably the most expensive month after the holidays. Why? As a tradition, this month we’ll be seeing a lot of flowers and chocolates, spotting couples in couple shirts, fully booked restaurants, and seeing HEARTS all over malls and everywhere! Obviously, Valentine’s Day is a big deal to us. Even though it’s just 1 day, we tend to celebrate the occasion for the whole month. For me, I like this celebration. But when everywhere we go becomes all fully booked and all you see are long lines that’s it – we go home! Yes, it’s expected that during this day it will all be full and crazy. But the most important thing on this day is how you express your love to your loved ones – in a special way; with a little extra effort. When I was working in corporate, since we’re already outside, my husband and I dine out when we can during the week. But now that I am working as a freelancer, I love belonging to this #TEAMBAHAY and just be with my family and celebrate in creative ways we can during this special day. As a freelancer, we are familiar with several TO-DO LIST apps that will remind us of all tasks, errands, important dates in 1 simple list. We have apps like Splendo, Trello, Evernote, and many more! Just choose an app that will suit your style and organize your work and personal to-do lists especially your plans for this occasion. Old fashioned greeting cards are still present, but since we’re in the digital age, we can now create E-cards. Get some practice in your graphic design skills and create valentine’s day E-cards for your loved ones. You can get ideas or you can create them using Canva! When all restaurants are full, where do you go? Why not host a dinner party–VIA SKYPE? You can invite your co-freelancers or teammates and chat with champagne and give a toast. It will be much cheaper, and no long lines! Why not send heartfelt original messages to your boss, workmates, friends, and family through different social messaging apps? It’s a perfect time to let them know how much you appreciate them especially this day. Since they’re the most important thing when we work, why not give them a treat? An upgrade, a software update or even a new accessory? Though they won’t say “thank you,” just them being in tip-top shape will be enough. 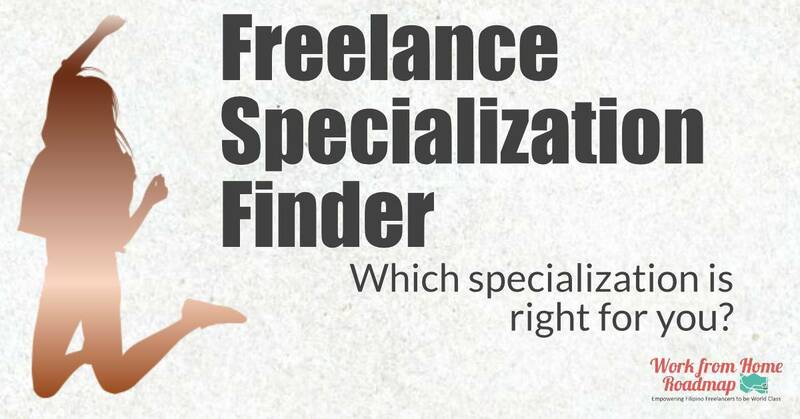 Nowadays, this freelancing career has been growing and a lot of newbies need much help. 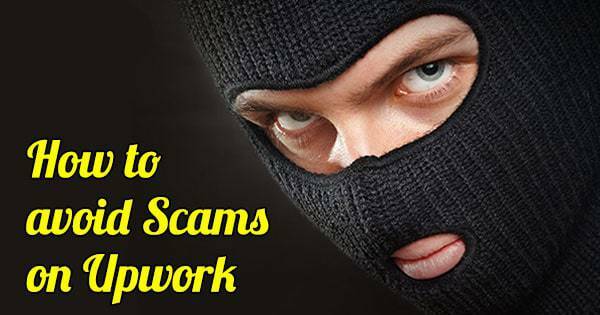 Why not help them out–answer their inquiries, explain to them how it works, and make sure they understand what they’re getting into? It’s important to share what we have experienced and help them out. If you dine indoors, why not research a new recipe that your family will love? 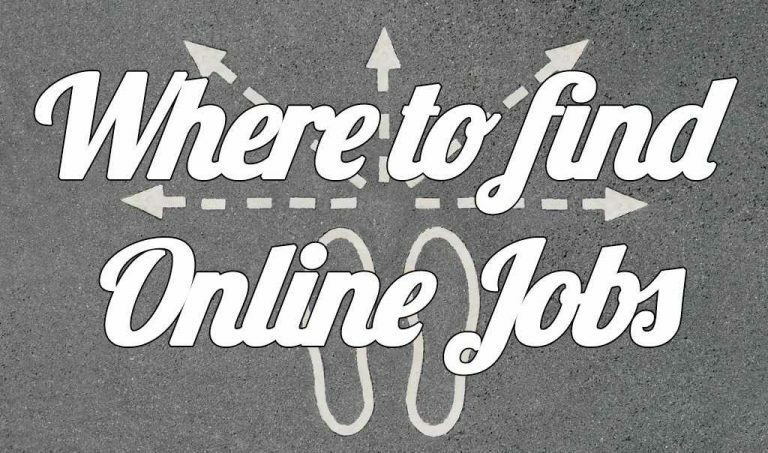 Practice your research skills and indulge yourself with blogs about cooking, foodies in Instagram and Food Tubers (YouTube). I’m sure you’ll find the perfect recipe! Movie houses will also be full for sure! Why not enjoy watching from your own TV, cuddle up with your family, prepare your popcorn buckets and enjoy a Netflix Marathon? Just choosing what to watch will be fun, too! If you like traveling, then you’ll enjoy this. If you have a graveyard working schedule or just nocturnal, you’ll have greater chances of booking flights in great deals! Promo airfares usually start in these wee hours in the morning and you’ll be surprised you’ve booked your 1 peso airfare with no delayed transactions! It’s also nice to go out time to time and enjoy the air and sun outside. Since dinner time will be full why not take your family or friends out for brunch? Get a different view besides your laptop or PC and spend a good walk or run outside! It’s best if you do it in the morning to get a good head start and pump up your adrenaline as you start your online work. If you spend time in a co-working space, why not make a friend?! It’s also good to practice your social skills and win a new friend while working. It will be fun to go out and explore Art, Science or History museums for a change and learn! You’ll be surprised how much information we can learn from these museums. Practice your logic and strategic thinking with escape or break-out rooms with your family and friends! It will be fun to execute your strategic plans to escape under pressure! 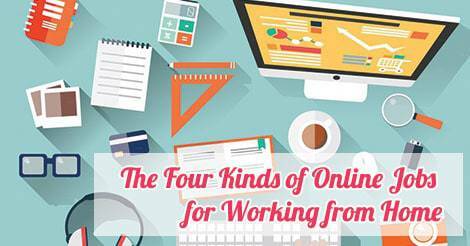 As we are online workers, why not spend some time to shop online as well? Purchase special gifts online and send them directly to your friends, boss or workmates and surprise them with your tokens of appreciation. It’s valentine’s day! Be one with the occasion and wear something red or festive instead of your usual working clothes: your pajamas. Since they’re the most used organ and they suffer from several hours of working in front of computer screens, give your eyes some love and have them checked. You can also get new eyeglasses with a special coating to protect yours from the glare of your screens. Why not book for home service and let them massage away those backaches from sitting in front of your PC or laptop for long hours?! You can also ask them if they have a manicure and pedicure services and just give yourself a treat! When you’re all too tired to try these ideas, the best thing will be to sleep in. Get all the hours of sleep you may have missed and sleep it all in. Just make sure you’re finished with all your tasks and you’ve notified your clients that you’ll go offline during these hours. It will also be a good treat for your body to recharge and wake up feeling energized and ready for work. Even though we’re working from home, we have a handful of ways to celebrate this month of love and happiness! Although we should always express our love to our families and friends every day, Valentine’s day is an exciting occasion to see how people can show their love in their unique, surprising, and creative ways. And, this day is not just for couples, it’s for everyone! Because each one of us needs to show how much we love the people surrounding us, including ourselves. Whether we’re single or not, we always have our families and friends whom you can express how much you mean to them. Let’s not forget that! Let’s also remember that we can always celebrate Valentine’s day any day. What’s important is that we make sure that we show and express how much we love our families and friends in our own small and big actions. 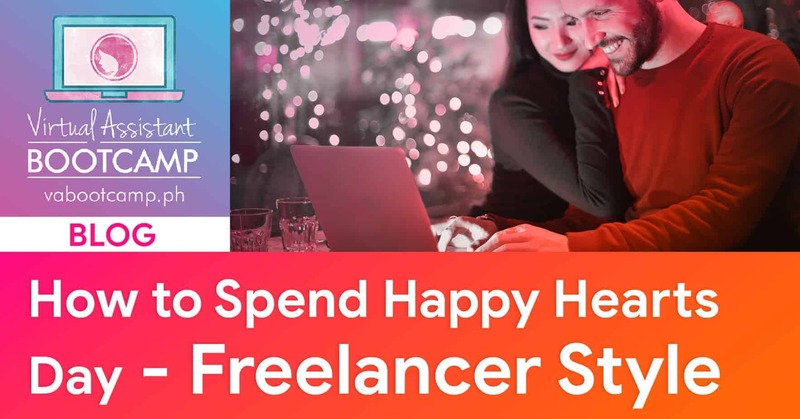 Especially if they are your BIG WHYs in our freelancing careers – they must always be your priority and not the other way around. So here’s to having our most meaningful and remarkable Valentine’s Day! Enjoy and have a blast, freelancers! 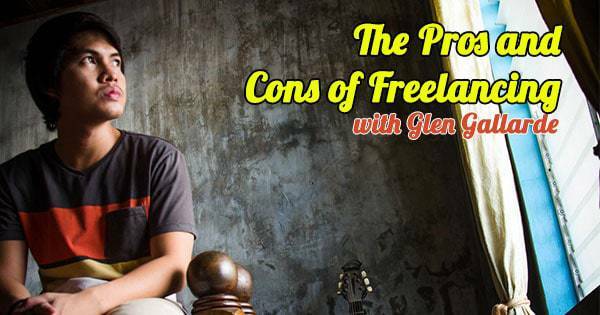 Not yet a freelancer? Do you want to forget the hassle of daily commute to work and celebrate Feb-IBIG just like how freelancers do it? Get started now by signing up to the FREE VIRTUAL ASSISTANT COURSE here. 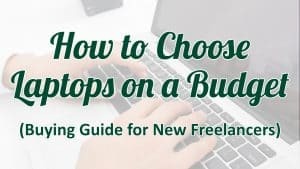 Jane is a WAHM who started her freelancing career in 2018 after working in the corporate world for 14 years. She now specializes in Influencer and Affiliate Marketing to her clients, but her heart specializes more in taking care of what's really important to her – her family. Very informative. Please include me in your FREE VIRTUAL ASSISTANT COURSE. Thank you.